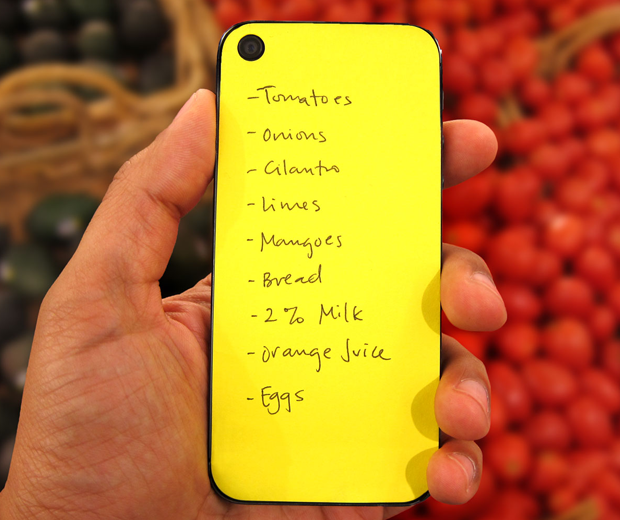 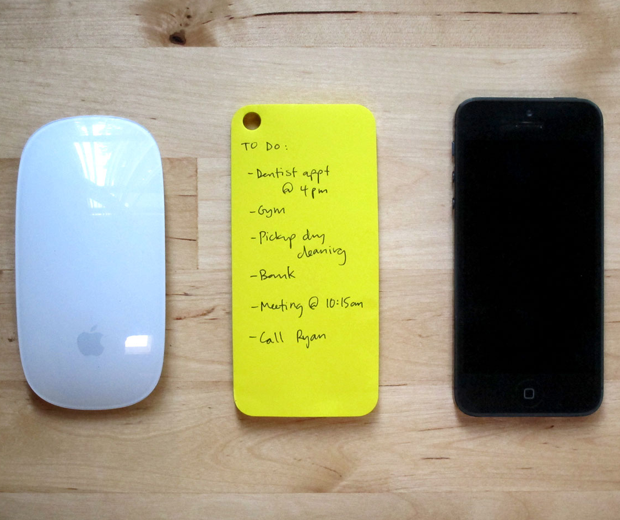 Post-it notes for the back of your iPhone 5! 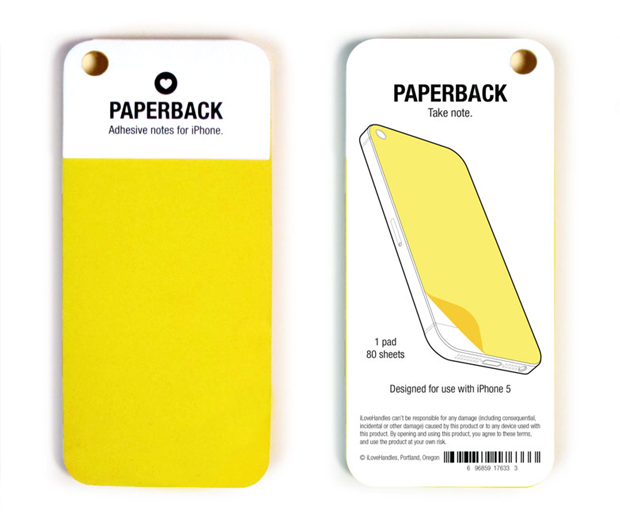 The PaperBack adhesive notes are designed to perfectly fit on the back of your iPhone 5 OR iPhone 5s, put one or a whole stack on the back of your phone and doodle, write notes or compile list at your leisure. 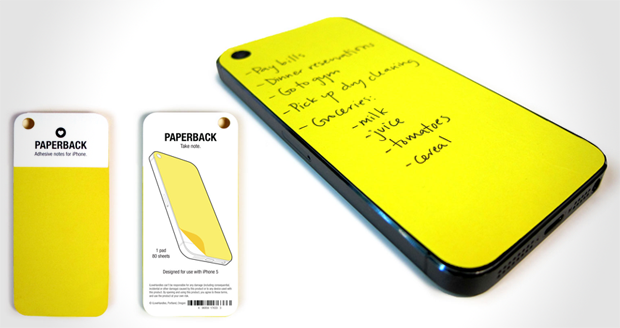 There are 80 sheets per pad and each page has removable adhesive on most of it's surface to keep it secure and flat on your phone's back.